An unforgettable experience. 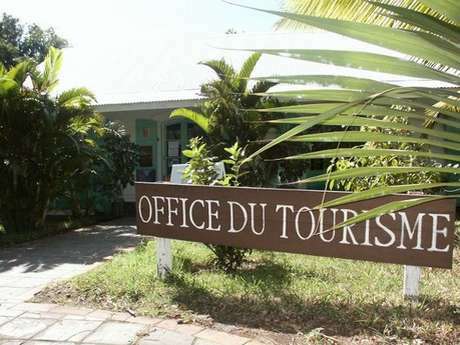 A trip to sugar cane country"
Reunion Island is A magnificent treasure that I want to share! Exceptional places in each of the 4 different corners: which makes it even more beautiful! Landscapes which make me go wow every time ! Your perfect day Spending time in nature, in the mountains, surrounded by animals. Gazing awestruck at our beautiful island's different landscapes. Living my life basically ! Your favourite place (Hard to say because I love the whole of Reunion) but I really love: The banks of the Langevin river, at the foot of the waterfall. Today in Saint-Pierre, we decided to go on a trip back in time, on an oxcart, to explore the sugar cane fields and a rum museum. Sandy is a young islander who is passionate about his island's past. We meet him on the edge of Saint-Pierre, where he is waiting for us with his oxen and cart. On this transport from another era he is going to help us learn all about the history of sugar cane and its more modern incarnation. The oxcart is part of the Creole heritage, he tells us. A few decades ago, the freshly cut sugar cane was still being transported by cart to the sugar factories. There were many more factories than today so they were much closer to the fields. The carts have been replaced by tractors and trailers, and large trucks, known as "cachalots". But nothing in the world would part Sandy from his oxen and cart, that he learnt how to drive with his grandfather. Now we're sitting comfortably on a mat made of sugar cane reed, in the cart which bounces along a rocky track in Ravine Blanche. The oxen are particularly docile and they obey Sandy's voice - his orders sound like something straight out of a Maloya song by Danyel Waro! At the edge of a field, we are given a crash course in cutting sugar cane, using a machete. Under the Reunion Island sun, it's quite back breaking. Even though machines have been invented to replace the machetes, most of the sugar cane on Reunion is still harvested by hand, we learn from Sandy, as he invites us to take a break at the family property. We just have time to taste a sweet potato cake prepared by our guide's mother: a pure delight! Now we make our way to Saga du Rhum, a very modern rum museum opened a few years ago by the Isautier family, the oldest local distillers. It is attached to the distillery, which helps us to understand the manufacturing process for this fragrant liquor, for which the island is so famous. We taste - with moderation! - some of the company's products, including the famous flavoured rums. Sandy then invites us to sit down under the coconut trees in the garden, where a typical Creole picnic awaits us. "Cake aux brèdes", spiced chicken, pickled vegetables and coconut sweets are a delight for our taste buds which have already been aroused by the aperitif! With a full stomach and a happy heart, we head back, on the cart, as the most authentic day in our holiday on Reunion Island draws to an end. Full immersion. A day out of time.